Keys Fitness Treadmill - fold-up treadmills offer contemporary styling, high-performance components and advanced electronic features. Finally, a series of treadmills that combines the quality, performance, and great looks you desire with the flexibility of a design that can be easily folded up and stored away. Its superior deck cushioning technology, one touch speed and incline preset buttons and the additional remote handlebar mounted speed and incline controls everything is right where you need it to provide a comfortable and secure workout. 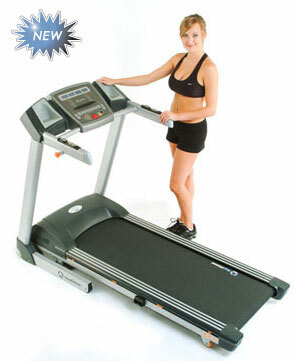 The latest cost of Keys Fitness KF T2.0 Treadmill will be updated soon. *Note: Most of the sites, stores or shopping portals listed above sell Keys Fitness KF T2.0 Treadmill with discounts and other exciting offers. There is a possibility that the some of above websites are not selling Keys Fitness KF T2.0 Treadmill now. Toughtrain.com is not liable for such cases or instances. Also we do not recommend any seller for Keys Fitness KF T2.0 Treadmill and a buyer should buy from where he/she gets best deal with quality of products, service and on time delivery (shipment).